Enjoy a discount ticket of 29 tourist attractions within 24/48/72 hours, all with just one card! This is the essential Seoul attraction and transport pass for foreign tourists. 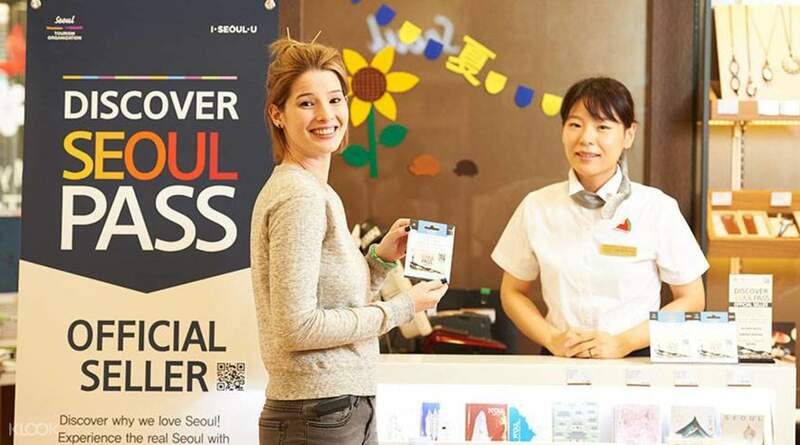 The Discover Seoul Pass was created by the Seoul Tourism Organization and Seoul Metropolitan Government to make sure that visitors get the full Seoul experience, seeing its most prominent landmarks and tourist attractions with ease and flexibility. The pass functions as both admission ticket and transportation top-up card. Using the TMoney function, you'll be able to top up the card for easy transportation to and from the different landmarks and recover any unused balance in cash once your visit has ended. With the Discover Seoul Pass, you'll be able to visit a variety of historical sites, from palaces to shrines. 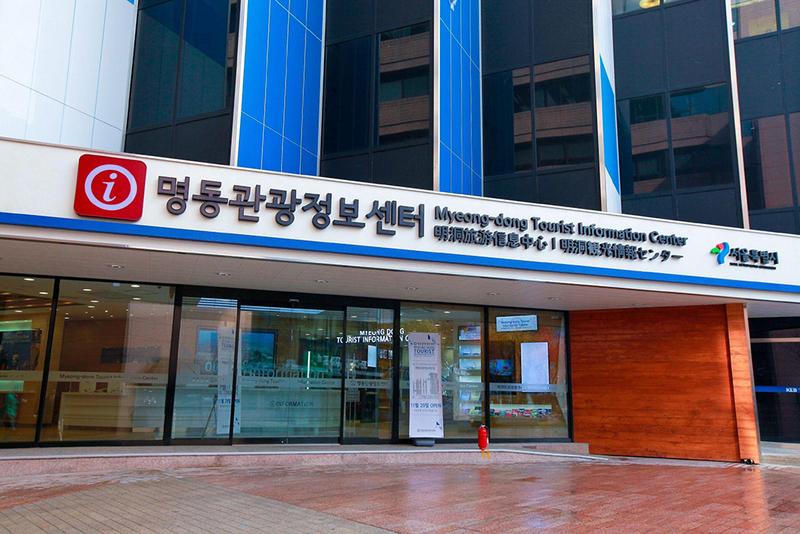 Cultural locations to visit include the Leeum Samsung Museum of Art, the Coreana Cosmetics Museum, the Museum Kimchikan and more. Amusement locations include MBC World, Trickeye & Ice Museum, and SMTOWN to name a few. 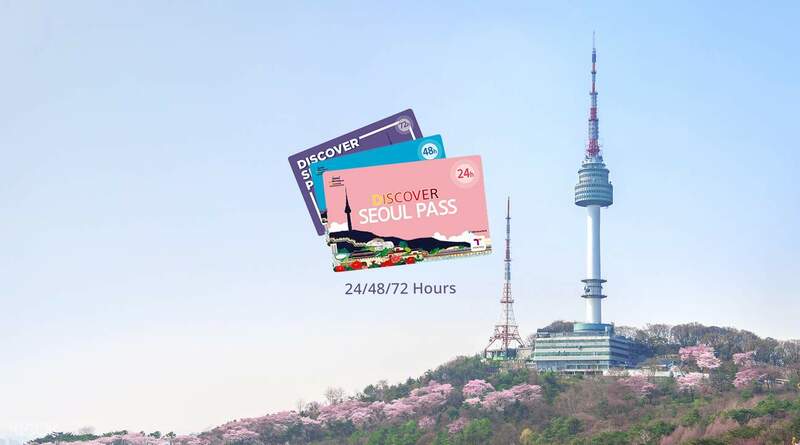 This is the best and most efficient way for you to see the best sights in Seoul, with options of 24, 48, or 72 hours of adventure around 35 different attractions, all with one card! 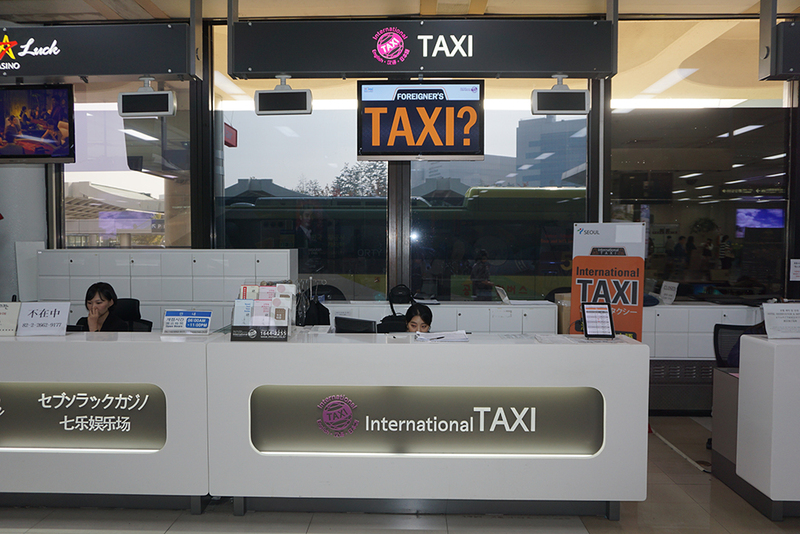 Plus, enjoy easy card pick ups at Incheon Airport, Gimpo Airport or Myeongdong in central Seoul. 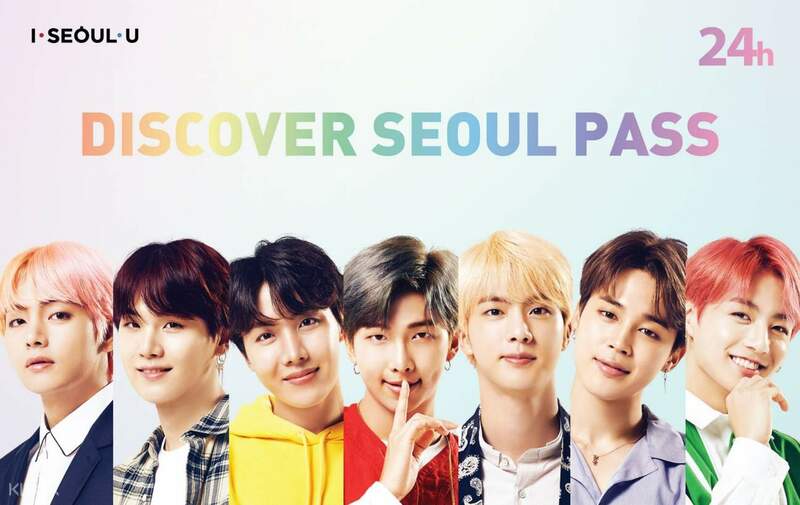 Get your very own BTS-themed Discover Seoul Pass and explore Seoul at your own pace! The Discover Seoul Pass is the best way to see the best of Seoul and Gangwon-do in 1 to 3 days! See some of Seoul's must-visit sights, hassle-free, including museums, palaces, and more! The Discover Seoul enabled us to go to many attractions around Seoul conveniently. We were able to pack 11 activities/ attractions in our schedule for 48 hours. I highly recommend this pass to first time tourists. The Discover Seoul enabled us to go to many attractions around Seoul conveniently. We were able to pack 11 activities/ attractions in our schedule for 48 hours. I highly recommend this pass to first time tourists. This is a valuable and good buy. We availed of the ff: - entrance to gyeongbokgung palace with hanbok from hanboknam gyeongbokgung branch - n seoul tower viewdeack and hanboknam experience - trick eye museum - coex aquarium - sealala water spa - arex one way ticket from airport to seoul station We’re supposed to avail the night tour seoul city bus but we did not reach on time. If you just keep mindful of your time and plan properly, you will be able to avail many of the tourist spots. This is a valuable and good buy. We availed of the ff: - entrance to gyeongbokgung palace with hanbok from hanboknam gyeongbokgung branch - n seoul tower viewdeack and hanboknam experience - trick eye museum - coex aquarium - sealala water spa - arex one way ticket from airport to seoul station We’re supposed to avail the night tour seoul city bus but we did not reach on time. If you just keep mindful of your time and plan properly, you will be able to avail many of the tourist spots. Had a great time discovering Seoul using this pass!! Definitely recommend planning your day carefully! Just as an example of how I used the pass: Day 1: started using at 12:00 (pm) First got on the city bus (panorama route) Got off at Hongik University (took a look round) Went to MBC World (also saw a K-POP idol group filming something outside the building!!!) Went to Seoul Tower Day 2: Borrowed a Hanbok at Hanboknam Went to one palace wearing the Hanbok Went to another one after returning Hanbok Went to Dongdaemun to catch DDP Sky bus Had dinner at Myeongdong Went to Sealala spa after dinner (quite far but if you use public bus there is quite a few that go straight there) Day 3: (we had until 12:00pm as we bought 48hour pass) Travelled to COEX Aquarium (we entered the aquarium at 11:58!!! So really used the pass quite extensively) Nice ending to our discover Seoul pass! Had a great time discovering Seoul using this pass!! Definitely recommend planning your day carefully! Just as an example of how I used the pass: Day 1: started using at 12:00 (pm) First got on the city bus (panorama route) Got off at Hongik University (took a look round) Went to MBC World (also saw a K-POP idol group filming something outside the building!!!) Went to Seoul Tower Day 2: Borrowed a Hanbok at Hanboknam Went to one palace wearing the Hanbok Went to another one after returning Hanbok Went to Dongdaemun to catch DDP Sky bus Had dinner at Myeongdong Went to Sealala spa after dinner (quite far but if you use public bus there is quite a few that go straight there) Day 3: (we had until 12:00pm as we bought 48hour pass) Travelled to COEX Aquarium (we entered the aquarium at 11:58!!! 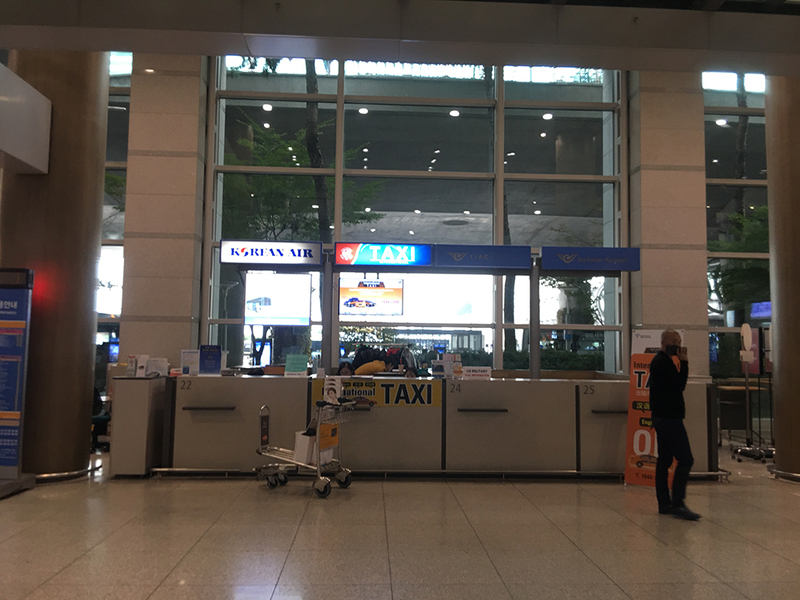 So really used the pass quite extensively) Nice ending to our discover Seoul pass! excellent! i saved a lot of time and enjoyed easy access going in to the differrent places and of course used as t money card! a free express train ride going to the airport. I also got my refund if u have remaining balance in the card! thank you Klook! excellent! i saved a lot of time and enjoyed easy access going in to the differrent places and of course used as t money card! a free express train ride going to the airport. I also got my refund if u have remaining balance in the card! thank you Klook! great savings! though you still have to line up to get the physical tickets, it would have been better if you can just tap the card to gain entry. use as T-money after topping up to avail small discounts for subway and bus rides - no charge if you transfer subway lines/bus rides within a few minutes. suggest getting 48 hours and plan your itinerary well (start with the most expensive/must do activity, factor in travel time, bathroom breaks and meal times) to maximize the card and save more. great savings! though you still have to line up to get the physical tickets, it would have been better if you can just tap the card to gain entry. use as T-money after topping up to avail small discounts for subway and bus rides - no charge if you transfer subway lines/bus rides within a few minutes. suggest getting 48 hours and plan your itinerary well (start with the most expensive/must do activity, factor in travel time, bathroom breaks and meal times) to maximize the card and save more. This is like my golden ticket to places. plus my tmoney card for the whole trip. i was able to go to many places and do tons of activities with this card. Other foreigners would look so amused when i talk about this card and its perks and powers. Its a must have for foreigners in Seoul. This is like my golden ticket to places. plus my tmoney card for the whole trip. i was able to go to many places and do tons of activities with this card. Other foreigners would look so amused when i talk about this card and its perks and powers. Its a must have for foreigners in Seoul.